After the pressure of final exams, the week of Spring break is like a refreshing breeze. Some students head for the beach; others cocoon at home; and still others continue their job search. The library staff is often asked to recommend books to read over this period – sometimes by students who have not had an opportunity for recreational reading since arriving at Fuqua. This is a good time to listen to an audiobook or to read the latest career advice. In February, Fuqua faculty recommended a number of book titles for student readers. 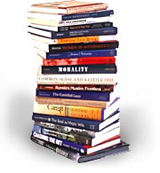 There are a variety of books on this list, including new business and economics titles, as well as biographies and novels. 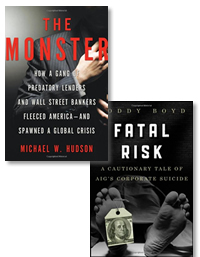 Download the Fuqua Faculty reading recommendations here. For readers interested in popular business titles nationally, the books on this list have been on the New York Times best sellers list for business in the past several months. 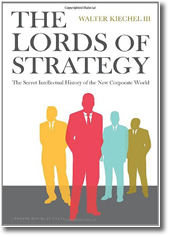 Download our annotated selections from the NYT Business Bestseller’s List here . & New York Times Co.
Who are we? We’re the Fabulous Ford team. What are we doing? Moving up in the standings for the Duke’s Get Moving Challenge. Out of 200+ teams, we’ve consistently placed in the top 15 for number steps taken and in the top 10 for number of minutes exercised. The Indomitable Meg – she’s tiny, she’s mighty, she fights cancer with one hand tied behind her back. By 10am, she’s walked more steps than most people take all week. Col. Carlton – a gentleman to his core, he’ll bid you “good day” as he powers past you with his two basenji mixes, Angel and Leah. After a good walk, he retires to the gymnasium for a round of basketball or a session on the elliptical or weight machines. Paula PoundTrails – she walks at least three miles a day, goes home to work out, then does Pilates, THEN rides her horse Stephen for an hour. Don’t let her catch you slacking off. 10 Speed Dave – you know that guy you see every day riding his bike to work? Or that guy you see riding with the area bike club on weekends? That’s 10 Speed Dave. The Loneliness of the Long Distance Linda – having completed a marathon last year, she’s gearing down by training for a mere half marathon. Good thing she’s not so lonely since she has her dogs Ruby and Milo to run with her. Amy the Ace – between hunting down lost books and walking around the Ford Library’s expanse multiple times per day, Amy gets her steps in without any problem. Miss Lady Mer – she looks like such a nice lady, our Meredith, until she passes you on the trail, then she kicks pea gravel in your face and laughs. Don’t mess with her, you’ll pull back a nub. Bethany the Beast Tamer – Miss Lady Mer’s cohort, another of our dog walkers, she gets her miles in with her best buddy Willoughby, aka The Paul Newman of Canines. Run Silent, Run Deep, Run Yvonne – did something just sweep past you? That was Yvonne. You never know when she’ll strike. Gym Rat Jane – her natural habitat? Wilson Gym. She knows every inch of the place from the running track on the top floor to the lap pool in the basement. She says it’s fun. No one quite believes her. At this time of the year, we’re usually elbows deep in working with students’ who are searching for a job. This means we’re leading job hunters workshops, some aimed at either our international students who would like to remain in the US. Finding companies with a history of filing H1B visa, which allows them to hire foreign employees, has not always been easy to find. Oh yes, the data is out there. The US Department of Labor collects it and makes it available as an Acess database. But it’s a huge, hard to search, set. Now, we have access to that data through GoingGlobal. By clicking the link to H1B Info, Fuqua users can locate companies by city, state, and industry which can be sorted by job title, wage, and number of H1B petitions. Being able to locate these companies helps our students narrow their search by focusing on companies who are willing to work with them in their pursuit to work in the US. Need help searching GoingGlobal? Feel freen to contact me and I’ll walk you through it. Welcome to the Winter 2012 installment of Ford Library Director, Meg Trauner’s selections of five recent business books recommended to readers at the Fuqua School of Business. Uses dark humor to illustrate the effects of the ongoing economic crisis on Iceland, Ireland, Germany and Greece, as well as California. Also available as an audiobook. Explains that people only see a part of what is happening around them, and shows how to overcome this deficit to gain a broader perspective on the world. Also available as an audiobook. Investigates everyday psychopaths and the harm they cause, advising how to recognize them in business and society. Also available as an audiobook. Read the full review. Presents a behind-the-scenes view of the secret world of the U.S. marijuana industry, including growth and distribution, both legal and illegal, outlining the key issues of this flourishing underground economy. Read the full review. Explores two types of decision making, intuitive and deliberate (fast and slow) that underlie our business and personal choices, counseling when to trust intuition and when not to. Also available as an audiobook. Reagan, Ronald. 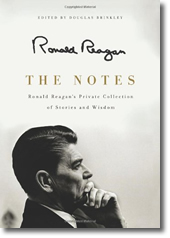 “The notes : Ronald Reagan’s private collection of stories and wisdom“. Harper, 2011. I ordered The Notes by Ronald Reagan for the Ford Library after reading a favorable review by Christopher Buckley in Bloomberg BusinessWeek. The Notes is a compilation of cites and quotes collected by Ronald Reagan for speechwriting purposes. Beginning in the 1950’s, he found quotes from famous leaders such as Washington, Churchill and Lenin and transcribed them by hand on 4 x 6 cards. He added humorous time-tested one-liners that he inserted into speeches, once and again. The cards were discovered in 2010, tucked away in a box with paperclips and rubberbands at the Reagan Library and placed on display a year later to celebrate the 100th anniversary of his birth. This book is a collection of the quotes. The introduction to the book claims that there are some shockers here; for example, the book has a quote from Mao. But this book affirms all that is well known about Reagan. He hated taxes and communism. He distrusted big government. He admired Jefferson and Lincoln. Readers may find the reproduction of Reagan’s tidy handwriting on the endpapers to be interesting. 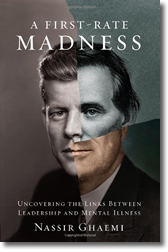 While little is new or remarkable here, the book is a quick read for Reagan admirers.